Back in June 2013 when I posted my first blog titled “8 Leading Home Remodeling Trends of 2013”, I told you about covered outdoor rooms gaining popularity. That trend is spilling over into 2014, too. 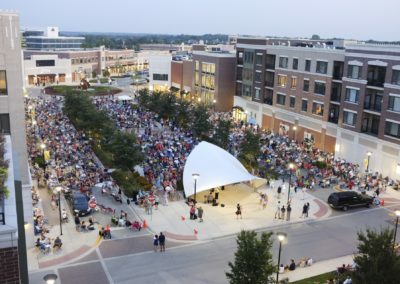 It got me thinking that now is a good time to share the top trends for outdoor living in Burr Ridge and the suburban Chicagoland area as I’ve been noticing from client work and industry reading. 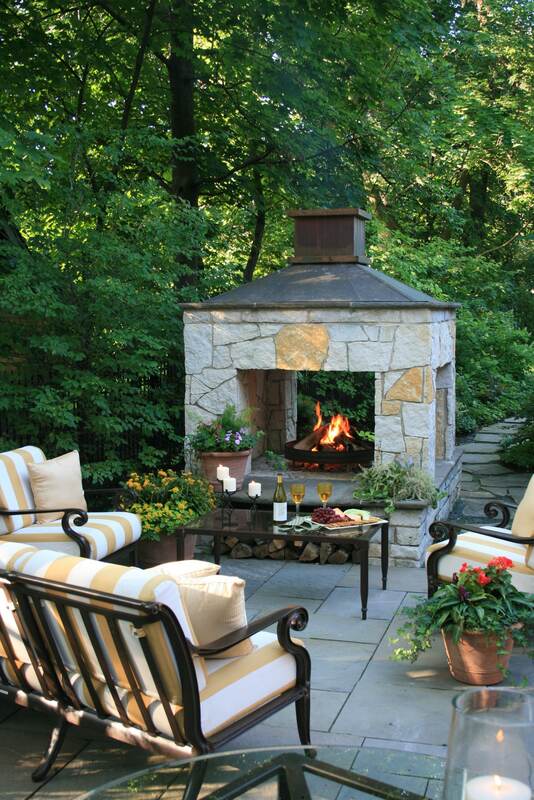 After the winter we’ve had here in the Chicago area, many of us cannot wait to start spending more time outdoors! An award-winning outdoor living space by Donatelli Builders, Inc.
Our yards aren’t just for entertaining on special occasions. Personally, I try to make it a part of our everyday lives. My wife, Jennifer, is an avid gardener … we reap the rewards daily of spending time in our yard on a regular basis. To us, it’s more than just an attractive space. We also consider it as respite from our full schedules. If you’re going to finally do something to make your exterior living space more functional and attractive, consider these top seven outdoor living trends for 2014. 1. Seamless integration from indoors to outdoors. Homeowners want to feel as comfortable outside as they do inside. They’re looking for that space immediately outside of their kitchen or family room to be an extension of their home, as if it’s almost a room addition. Elle Décor describes this trend as “the end of the distinction between indoor and out”; I like how they summed up the area nicely. Whether your home lends itself more toward a back porch, terrace, patio, deck, exterior foyer, or gazebo-inspired structure, try and consult with a design/build firm that takes the time listen carefully while helping you evaluate your needs. In addition to building an attractive structure that allows you to enjoy some fresh air, entertain or relax, you have to consider the necessary features that make the space functional, too (everything from appliances and furniture to lighting and plants). Don’t try to do this type of planning alone. Just like any investment in your home, the best results come from collaboration with the right professionals, which in this case may include a landscape architect, builder and interior designer. An outdoor living space by Donatelli Builders, Inc.
2. Increase in deck size. Deck sizes are on the rise as consumers’ desire for greater outdoor living space continues to grow. What’s driving this? People want to feel like they can do the same thing outside as they do inside, so they’re viewing their deck as a place to eat, sit, socialize, cook and unwind. Say good-bye to the 200-square-foot deck; consumers today are opting for decks starting in the 600-square-foot range (to as big as 1,500 sq. ft.-plus). In addition, they’re not just flat and square anymore. According to Remodeling Magazine, the larger decks being built today feature curves, multiple levels, staircases, built-in seating and railings. 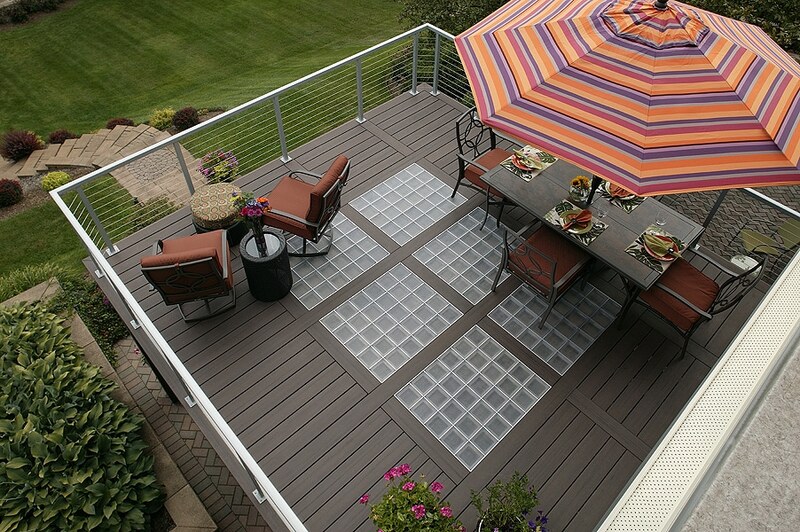 Read my past blog about decking options. 3. Emphasis on shading and privacy. Exposure to natural sunlight is good in moderation in order to get that necessary vitamin D intake we all need. However, most of us would agree that appropriate shading is a must – wherever you live. Another trend on the rise is shading and privacy screening in the form of pergolas, awnings, canopies, roofs and walls. In addition to providing relief from the sun, these features help define or “separate” different functional areas of your outdoor living space. 4. Focus on proper lighting. Similar to your interiors (do you see a familiar pattern here? ), proper lighting of your outdoor living space plays a big role in not only assisting in function (helping you see your loved ones and guests in the evening hours and provides security), but it’s also a great opportunity to set the scene; it’s that ambiance that makes your home more inviting and makes you want to spend more time outdoors. Structures, such as your home, deck, patio, pergola, etc. 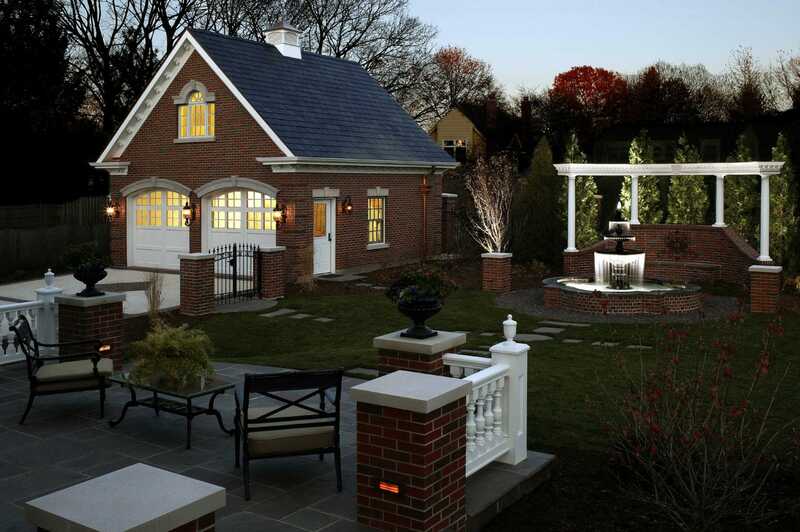 A custom outdoor space by Donatelli Builders, Inc. and American Gardens, Inc.
Take a look at The Lighting Showplace Web site for a nice overview of the different types of lighting options available. 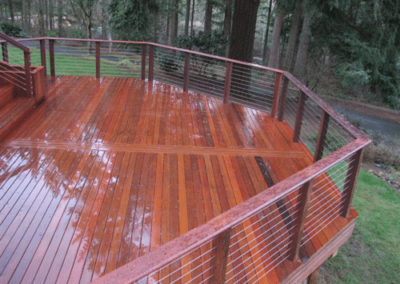 A custom contemporary exterior deck by Donatelli Builders, Inc.
5. 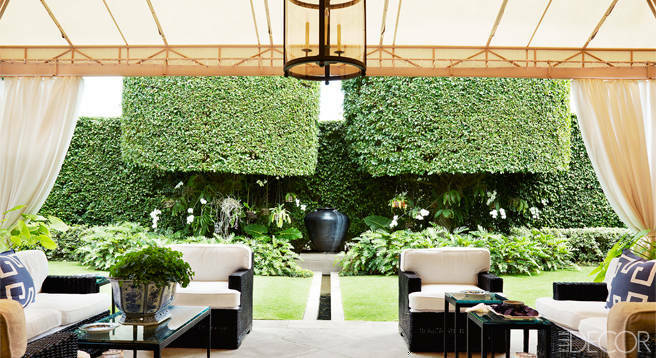 Desire for landscaped spaces and purposeful gardening. All landscaped spaces need to address recreation, privacy and function. One of my trusted colleagues, Dan Wanzung, a licensed landscape architect and partner of Elmhurst-based American Gardens, Inc., is absolutely right when he says that a home’s landscape should address the practical needs of the family while also being artistic. We like Dan for many reasons, and among them is his thorough, hands-on approach to designing landscaped spaces. He speaks to homeowners at length during the planning and design phase of an outdoor living space. Not only does he address the types of plants, trees, shrubs desired/recommended, but also focuses on the overall layout and the “zones” that comprise a home’s exterior. Just with your home’s interior floor plan, your exterior should flow well. Also essential is the placement and type of paths, decorative water elements and fire features appropriate for a particular home. In other words, Dan’s role is critical to making any outdoor living space come to life. Pictured above: A custom-designed fireplace by American Gardens, Inc.
We’re also noticing more homeowners who are incorporating native species with adaptive species in their overall landscape design. In addition, many of them want to eat healthier and are following the “from farm to table” philosophy by growing their own vegetables and herbs. All of these different areas need to be well-thought-out and provide efficient use of space. 6. Plan to battle bugs: Include creative roll-down screening. Let’s face it, bugs are a part of our everyday lives; they’re here to stay. They can ruin any outdoor party, so you need a plan to battle insects, namely mosquitos. Of course we all know the basics of protecting ourselves, which include: applying some type of mosquito repellent, using a professional-grade barrier spray, lighting Citronella candles and torches, etc. It’s also a good idea to have a breeze flowing nearby because insects are weak fliers. A ceiling fan or other circulating breeze will help keep them away. What can make a huge difference in allowing you and your guests to enjoy the outdoors more is creative and stylish roll-down screening. When not needed on your patio or porch, the sophisticated screens are easily retractable. Here are a couple of examples from Phantom Screens below. 7. Bright colors are a top choice. I’m not a designer, but I certainly do appreciate the importance of those finishing details that make a space unique, welcoming and inspiring. Both landscape architects and interior designers are pointing to bright colors being a must in your outdoor living space. When planning for your perennial and annual plants, include some that produce vibrant-colored flowers! In addition, if you have neutral-toned patio furniture (which most of us do), make sure you pop the space with vivid décor, such as brilliant tangerine cushions, lime green decorative throw pillows or turquoise table accents. 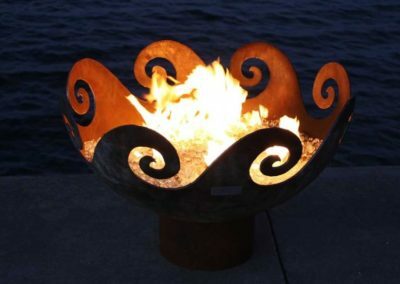 Stay tuned … Dan Wanzung with American Gardens, Inc. will be writing a guest blog for us later this week about outdoor fire feature options. Can’t wait for that!